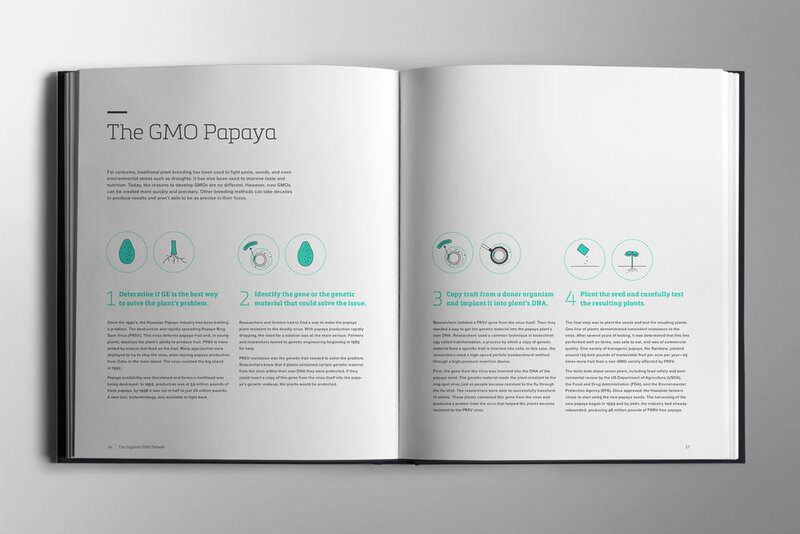 To create a book featuring a complex topic that is simplified by using a robust combination of content, infographics, illustrations, and photography. 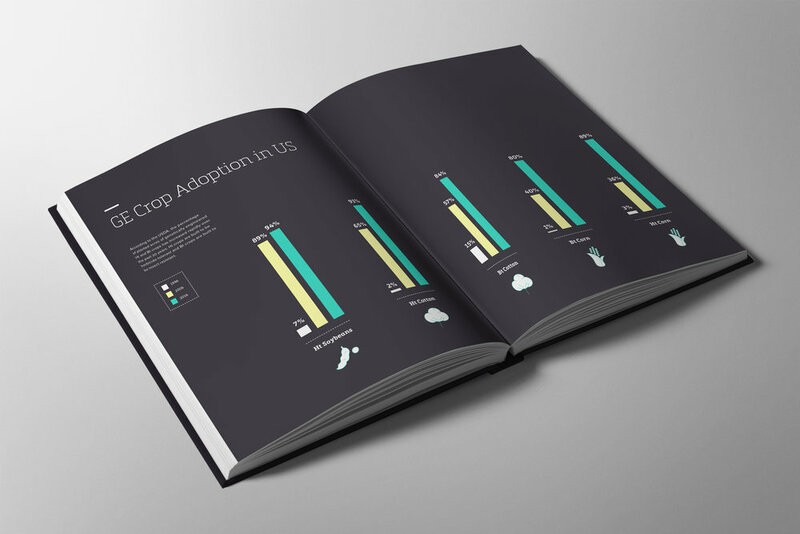 The book should leverage a cohesive, expressive, and hierarchical typographic system. 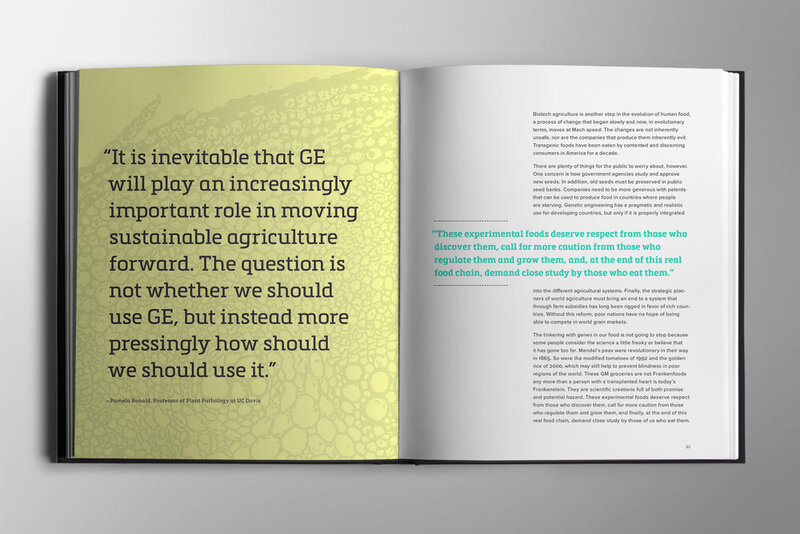 GMOs are a very contentious topic in the US, with intelligent leaders standing on different sides of the debate. 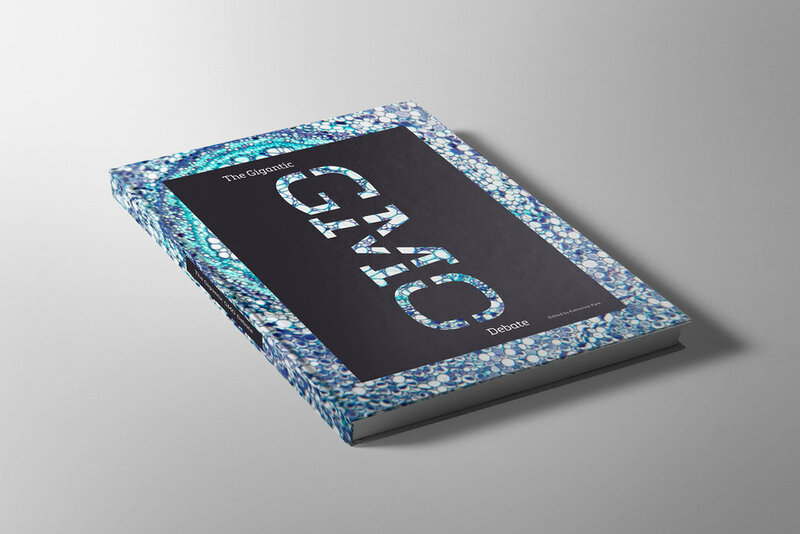 The Gigantic GMO Debate highlights the pros and cons of GMOs in a comprehensive, unbiased book that aims to help readers make an informed decision about their point of view on the topic. 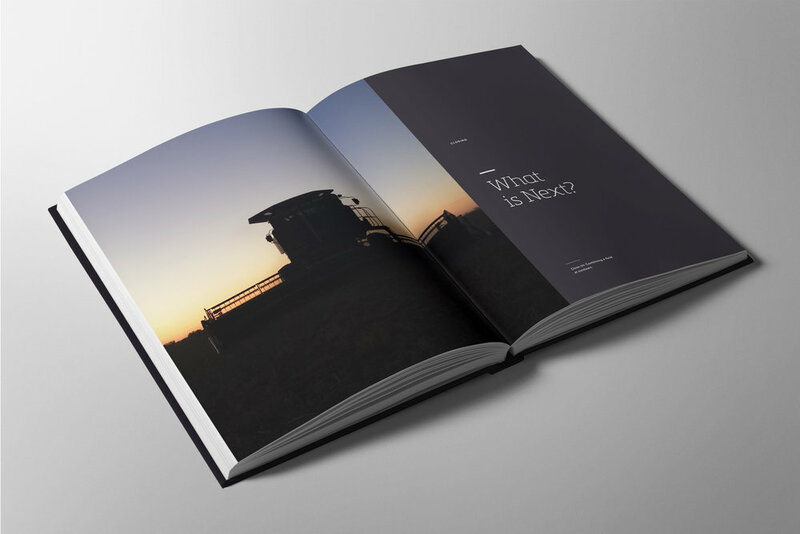 Microphotography of crops, photography of real farms and farmers in America, informative infographics, and callouts converge to break down a complex topic. The type system features multiple levels of content, making it easy for readers to engage with the text.